Super adorable. Tiny. Durable. 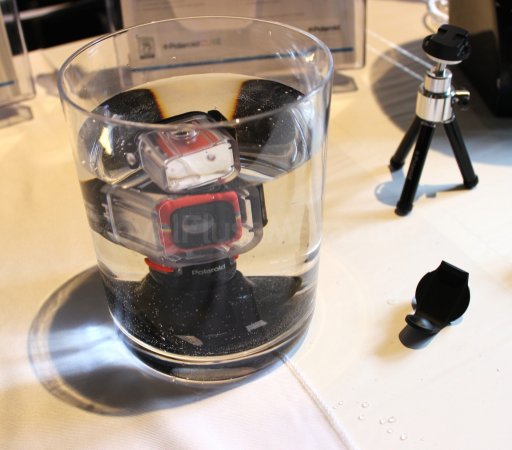 The Polaroid Cube certainly got our attention during CE Week 2014. “With an innovative 35mm square body around which the signature Polaroid Color Spectrum is emblazoned like a racing stripe, the Polaroid Cube is instantly recognizable as being unlike any other product in its category.†” The Polaroid Cube is the newest Polaroid lifestyle camera which provides high-definition resolution, a water-resistant housing, ultra wide angle lenses and a simple, one-button operation. 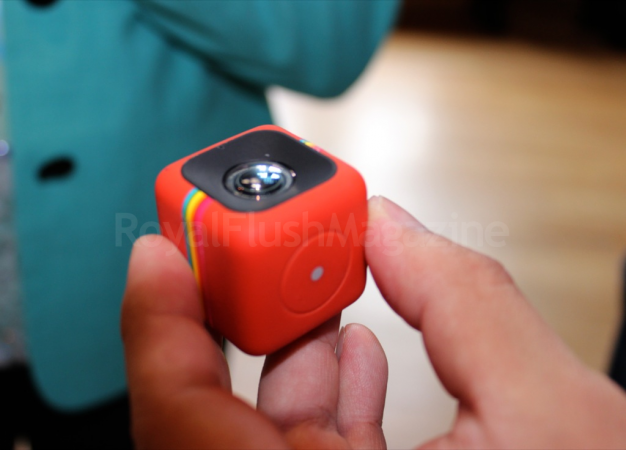 The Polaroid Cube captures video in high-definition 1920 x1080 or 1280 x720, and still images at 3.0MP. It also contains a wide angle lens that provides 124° of coverage so you can’t miss a thing and should be capable of recording up to 90 minutes. 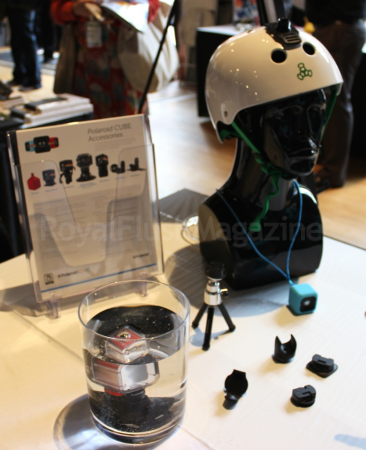 It also features a microphone and LED light, offers 2MB in internal memory and supports up to 32GB with micro SD card†. Makes carrying the camera fun and fashionable. Can be worn around the neck or clipped on a belt loop, backpack, keychain and more! The Polaroid Cube looks like the perfect companion for adventure seekers looking to capture their adrenaline filled escapades. The Polaroid Cube and accessories will be available in this Fall for $99.99 and accessories will range from $9.99 to $39.99. For more information visit http://www.polaroid.com/cube.